Cheese: Crimson Cheese Charm: ?? This wixen is wery dangerous! Not only can she wanish vithout varning, a hunter caught in her wision vill be frozen in their tracks. One bite vill conwert her wictim into a mindless ghoOoulish slave! Thankfully, ven she's around a trap, she's more interested in pilfering the cheese than hunting a hunter. 19 October 2011: Mousevina von Vermin was introduced with the release of the Halloween Trick AND Treat event. 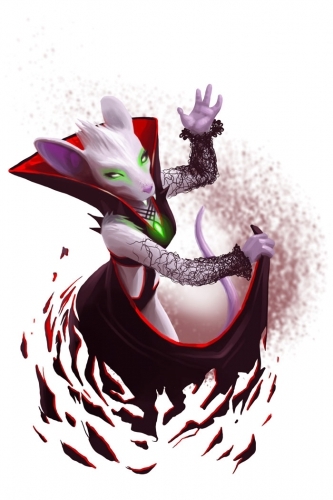 17 October 2018 Mousevina von Vermin was moved from Event Mice to Shadow Clan with the Burroughs area overhaul. This page was last edited on 11 January 2019, at 17:17.